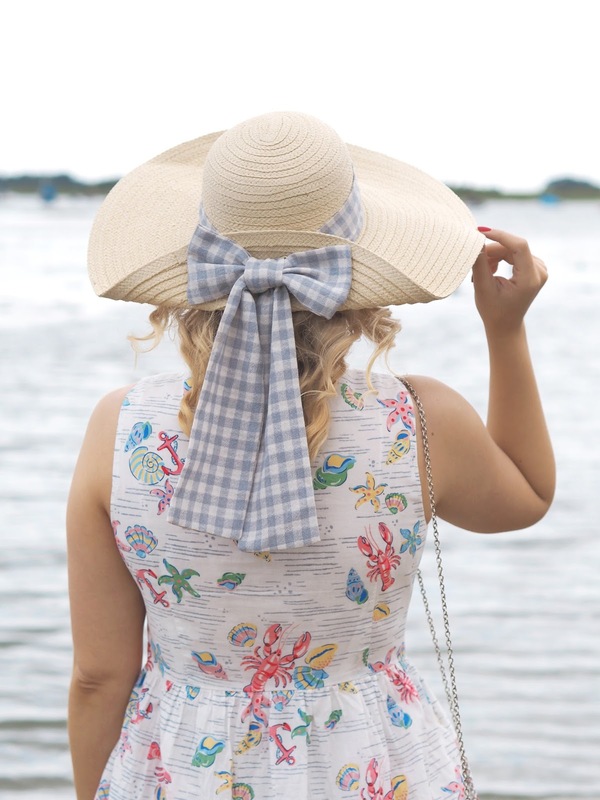 Outfit Details: Dress* (similar) | Shell Bag (similar) | Gingham Bow Straw Hat | Earrings | Hermit Crab Necklace | Ring | Wedges. 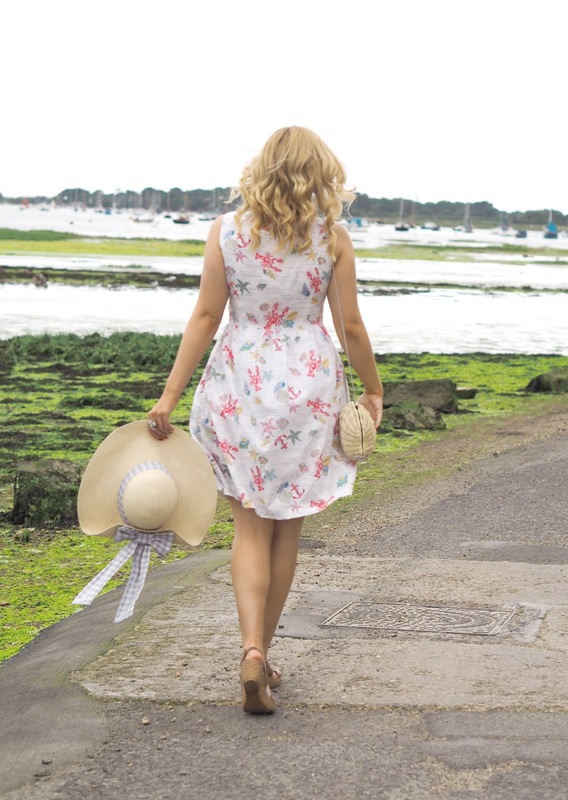 My summer wardrobe is always my favourite and probably my most extensive! Summertime makes me happy and I just love wearing lighter fabrics, brighter colours and fun prints. I feel I can show my outfits off a bit more too, as they're not constantly being concealed until bulky coats like in the winter. 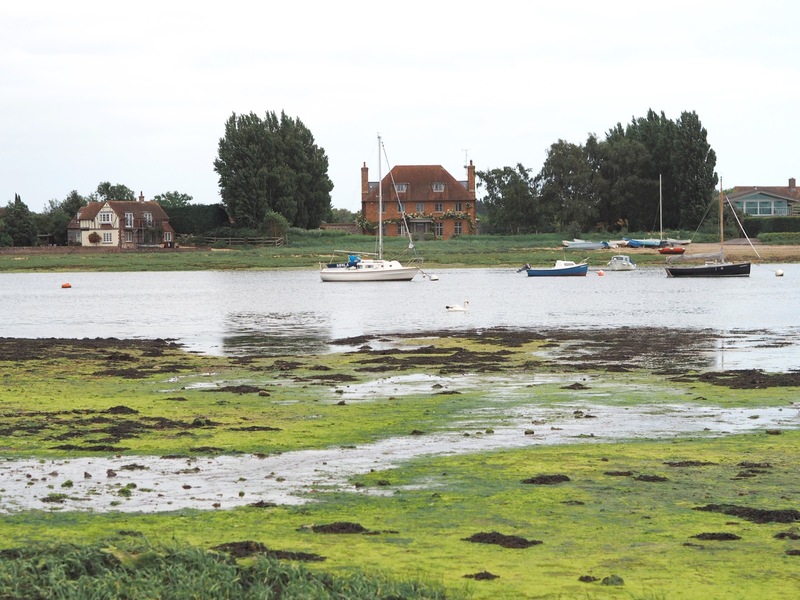 These photos were taken by Bosham Harbour in West Sussex. Literally one of my favourite places to visit! 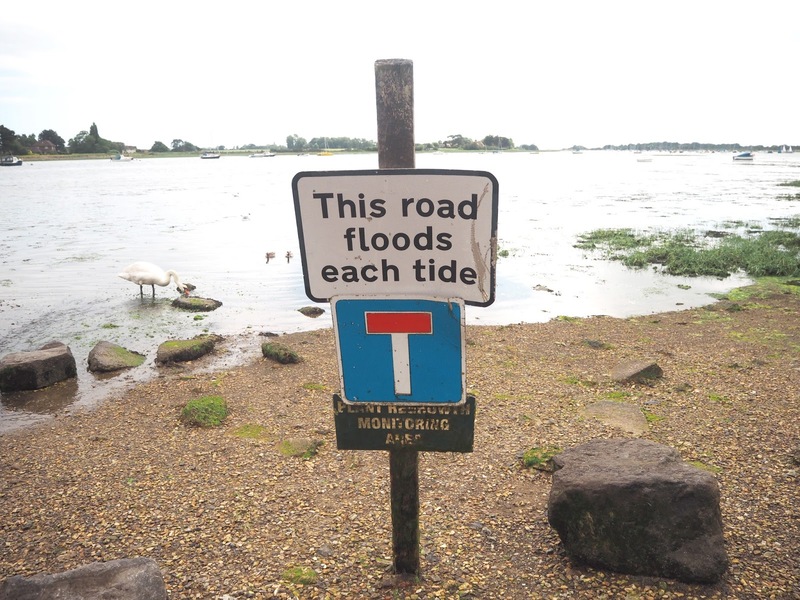 It's the most enchanting, picturesque town where the buildings are old and the lower streets get flooded at each high tide so all the houses there are all built with flood barriers in front of their doors. 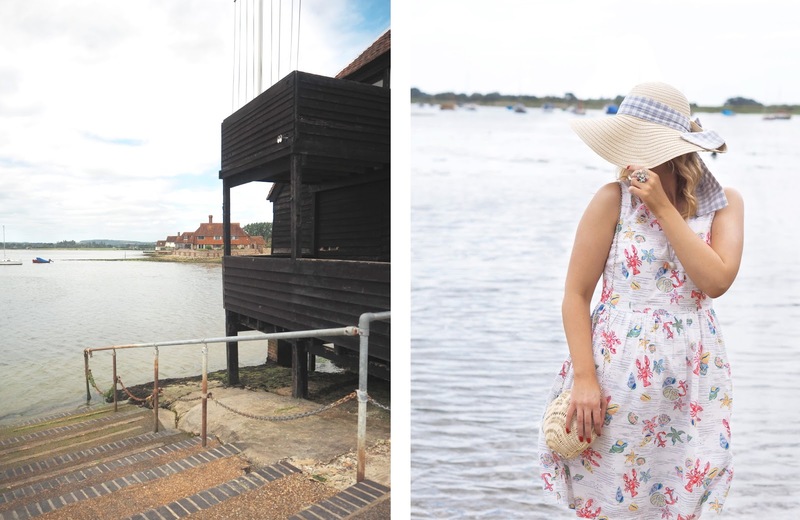 This outfit was part of my Summer Lookbook which I filmed here in Bosham for my YouTube Channel. I'm still in the process of editing it but once it's finished I'll add it to the bottom of this post. Be sure to subscribe to my channel so you never miss a new video! 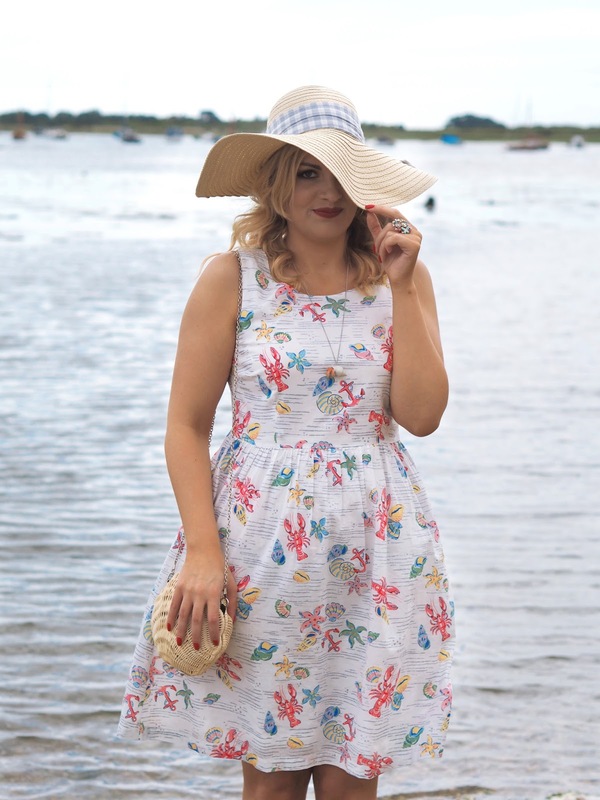 This gorgeous Dress* is from Aspire Style, a shop that stocks some amazing clothing brands all with a retro/vintage feel as well as homeware, jewellery and accessories. 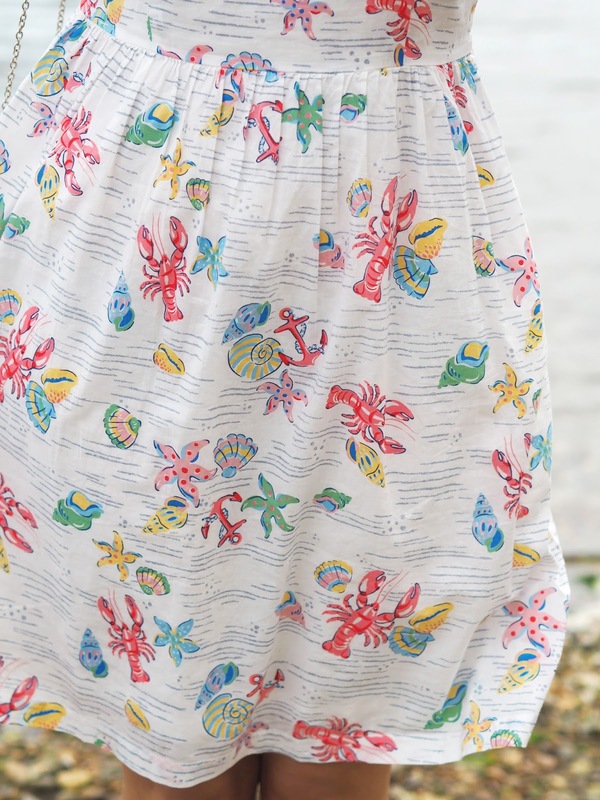 I fell in love with the Lobster & Shell printed design by Cath Kidston. I've never had anything from Cath Kidston before so I was really excited when I received it! It's such a flattering shape and length for me I think, so I will definitely consider picking up some other designs from the range. I've already seen this London Park Scene Dress that I'm eyeing up as well as this adorable little Cloud Cross Body Bag! 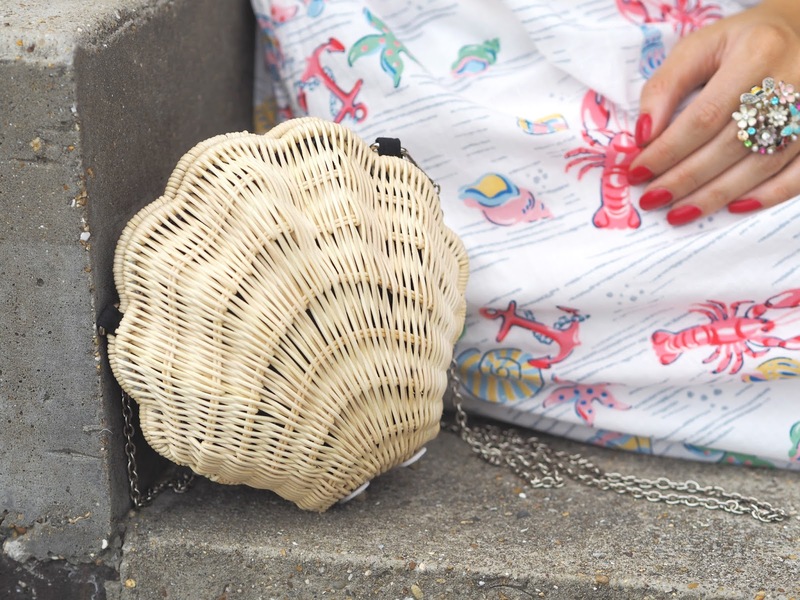 There is also a match Lobster & Shell Bag. 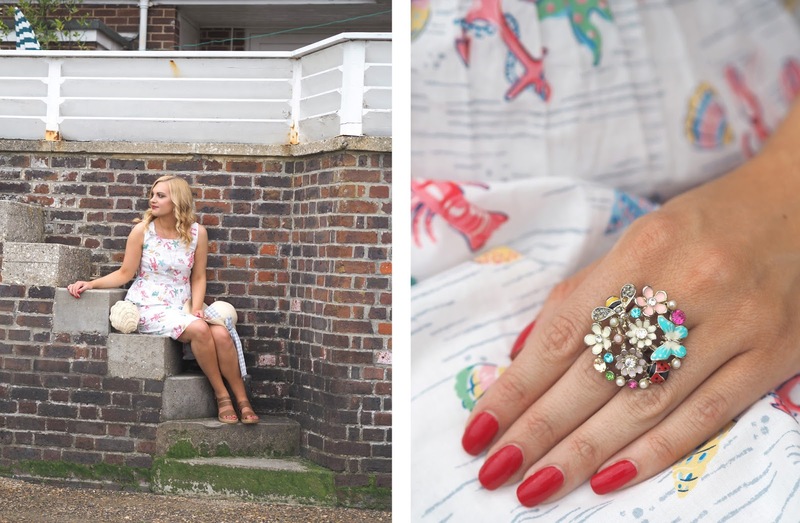 Get 10% off Cath Kidston Dresses & Accessories or anything else that takes your fancy on Aspire Style. Simply enter my code: 'KATIE' at the checkout ~ expires August 31st. Aspire Style stock brands such as Chi Chi, Joanne, Emily & Fin, Disaster Designs & Little Mistress. 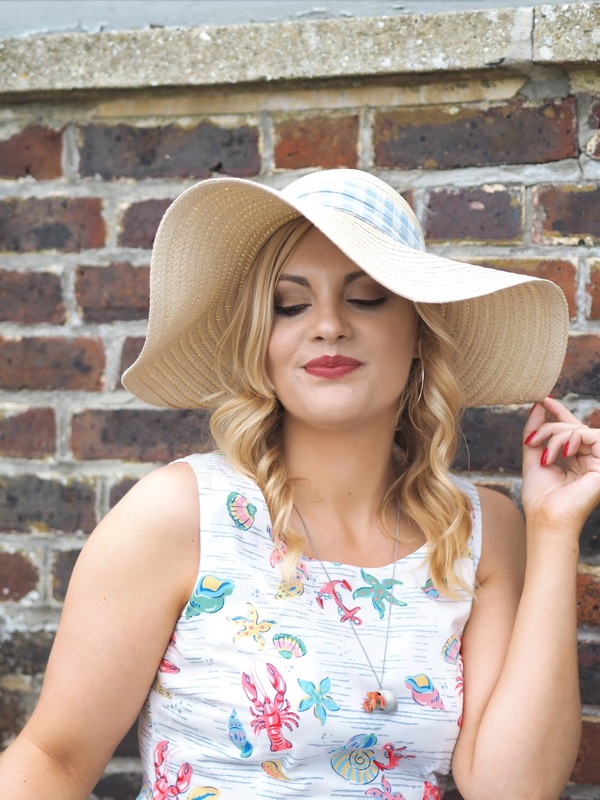 My top picks for your shopping list would be would be these Sunglasses, Joanne Cat Blouse, Tile Print Dress, White Little Mistress Dress & Flamingo Trinket Dish. As a mama to a black cat I am also loving the Black Cat Trinket Dish, Glasses Case & Mug. Let me know what you buy! Let me know in the comments your thoughts on my outfit of the day! 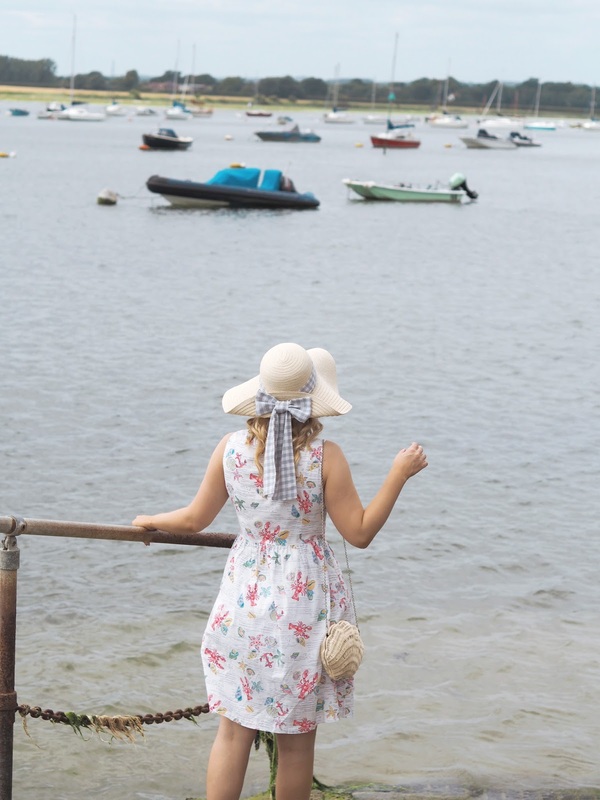 What are your favourite pieces from your summer wardrobe?